Delivering to your expectation, that’s the UES commitment. Our used oil pickup services are provided to thousands of active generators across 14 states from large manufacturing companies to the smallest automotive repair shop. Our commitment to our customers’ waste oil disposal needs is supported by a growing fleet of collection vehicles, tanker trucks, and a computerized routing and support system. This commitment to our customers includes continuous attention towards developing and improving technology to streamline the collection process. For the customer, this means that the used oil generated at your location is often collected before a call for service is even required. We make access and convenience a top priority for our customers. With the UES customer portal, customers can tap into their collection statistics, contact a company rep, download collection manifests, pay a bill, or arrange for service. It’s all just a click away. As a generator of waste oil, you can rest assured that the material removed will be handled properly and with integrity from start to finish. 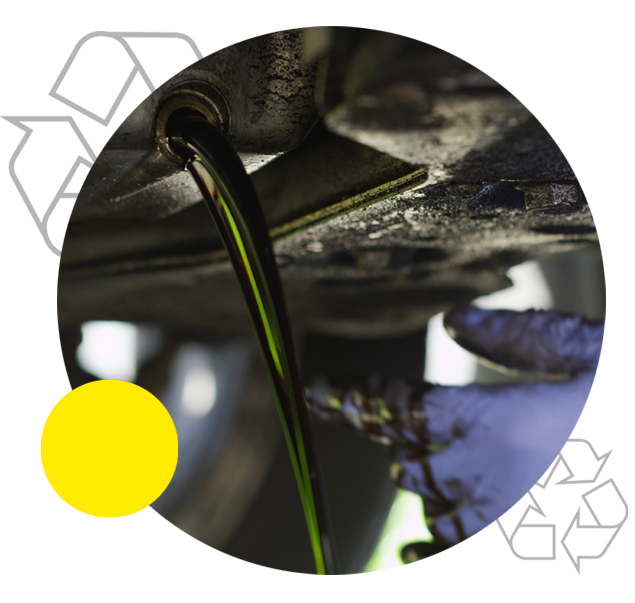 Our expert team of drivers is trained to collect waste oil, spent antifreeze, used oil filters, spent oil absorbents and more. Our experienced drivers are committed to maintaining quality service for our customers. As they get to know their customers, they will often make frequency and service suggestions to better streamline the oil recycling experience for the customer. The materials collected by the drivers are transported on company vehicles to a state-of-the-art re-refinery, all owned and operated by Universal Environmental Services. From this point, we work diligently to ensure that your oil disposal is re-refined into the highest quality recycled oil. So, when your customer asks what happens to the waste oil collected from their car, you can be confident in your answer to them. It’s an answer you can be proud of — one that’s both profitable to your business and friendly to the environment. Just tell them their waste oil gets picked up and re-refined into recycled oil by UES.